The T207 set, commonly known as the brown background set, was originally manufactured by the tobacco industry giant, the American Tobacco Company, in 1912. The T207 baseball cards measure 1½” by 2-5/8”. Shortly after this set was printed, the American Tobacco Company would be dissolved due to the Sherman anti-trust legislation that broke the monopoly on tobacco. The T207 baseball card set is a true hobby classic. 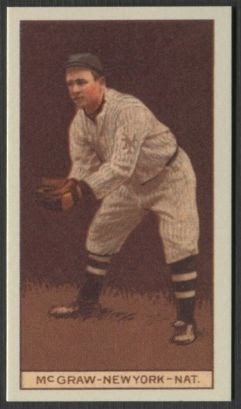 The 200-card T207 set contains 13 players that are in Baseball’s Hall-of-Fame, including Walter Johnson, Tris Speaker, Frank Chance, John McGraw, Smokey Joe Wood and Joe Tinker. 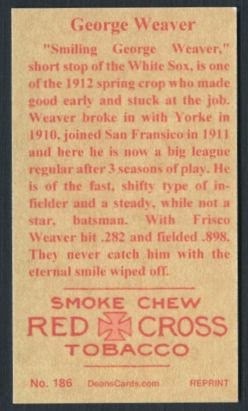 Two interesting T207 cards are Eddie Cicotte and Buck Weaver, who were members of the 1919 White Sox and banned from the game for life. This set is unique to Dean’s cards. We created it ourselves. It took a total of two years to get the entire process done. This is the only official T207 Reprint Set out there. To do so, we created a new company called Dean’s Reprints and began securing the needed images. This is one of the most famous pre-war sets and it was never issued or offered in the form of a reprint set. Reprint Sets give collectors the opportunity to enjoy cards that they might not be able to collect in the original form. DeansCards.com sells quite a few reprint singles and complete sets every year. For that reason, I decided we should recreate and issue a T207 reprint set. Due to the quality of the century old cards, almost all of the T207 images needed to be retouched. Great care was given making sure that the reprint cards remained true to the original set. cards, whose originals have been discovered with a Red Cross back. One of the most interesting features of the T207 baseball card set are the player biographies on the back of the cards. Each of these bios needed to be retyped. We were careful to stay true to the original fonts and leave the original century old misspelled words. We also made sure to give it an assigned number to help collectors keep track. To ensure it is indeed a REPRINT, we added REPRINT to the back of the cards. I hope that the hobby purists will forgive us for these minor changes. To view/purchase the original cards please click here.